So much technology today is “smart.” At the end of the day, however, even the smartest technology is an executed program unconcerned with ethics, morals, and political debate. In this spirit, a change of pace is offered in this post. Eleven nations currently possess UAVs, spending $6.6 billion on these weapons in 2012. Global spending on drones is expected to nearly double by 2022 as more states join the UAV club and as the uses of UAVs begin to multiply. In the United States, all branches of the military as well as state and local police have expressed interest in folding drones into their operation. Across Europe, the acquisition of armed drones is highly controversial. Many political parties are divided on the issue – or flatly oppose it – and there is much public hostility. A Pew Research Poll conducted in 2012 showed widespread opposition to drone strikes, including 59% of people in Germany, 63% in France, 76% in Spain, 55% in Italy, and a whopping 90% in Greece. Only the UK did not have a majority of its public against the use of armed drones but even so, only 44% were in favor. 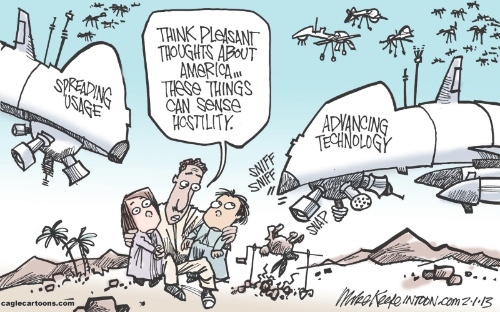 In the US, opposition to the drone wars is focused on the use of drones for targeted killing. In Europe however, the focus is much more on whether the so-called “risk free” nature of drone warfare — at least to your own forces — will simply lead to more armed conflict, as well as an expansion of targeted killing and a lowering of global security in general. Across Europe. protests, parliamentary hearings and public meetings on the use of armed drones are increasing. Posted in UAV and tagged European Drone War, Finland, Finland UAV, France, Germany, Greece, Italy, Ravich Law Firm, Spain, United States, Unmanned aerial vehicle on October 29, 2013 by Timothy M. Ravich.